The exponential growth experienced by the robotics sector over the past decade has fostered the proliferation of new architectures. 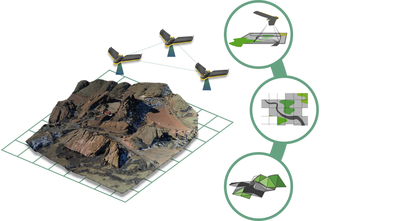 Optimized for specific missions, these platforms are in most cases limited by their embarked computational power and a lack of full situational awareness. More robust, flexible, scalable, and inspired by nature, group robotics represent an interesting approach to overcome some limitations of these single agents and take advantage of the heterogeneity of the current robotics fleet. Their essence lies in accomplishing more complex synergistic behaviors through diversity, simple rules, and local interactions. 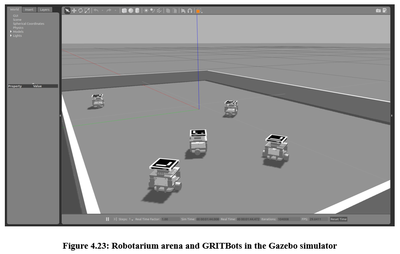 However, the design of robotic groups is complex as decision-makers have to optimize the group operation as well as the performance of each individual unit, for the group performance. 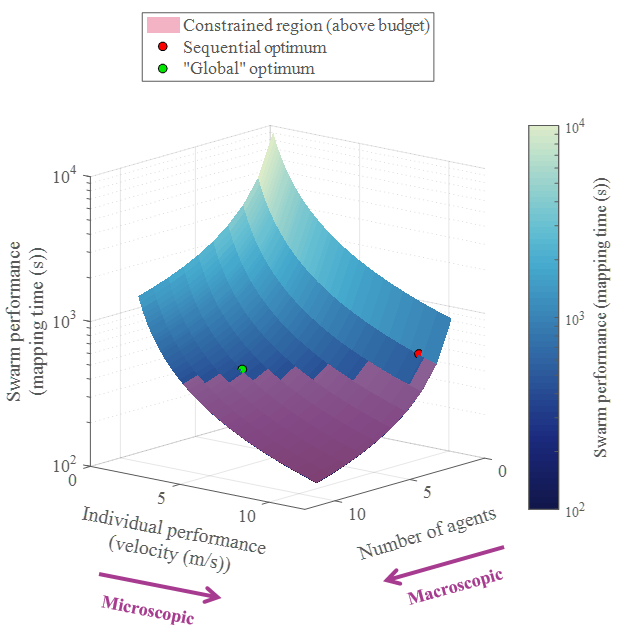 In particular, key questions arise to know whether resources should be allocated to the characteristics of the group, or to the individual capabilities of its agents in order to meet the established requirements. Current methods of swarm engineering tend to perform sequential optimization of the microscopic level (the agents) and then the macroscopic level (the group), which results in suboptimal architectures. 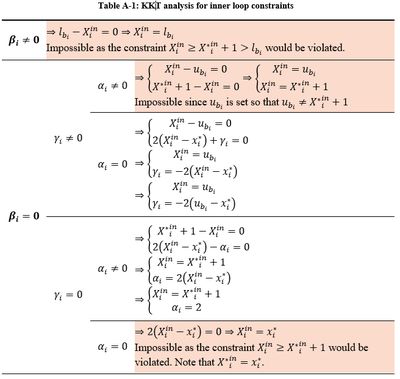 In this context, efficiently comparing two different groups or quantifying the superiority of a group versus a single-robot design may prove impossible. 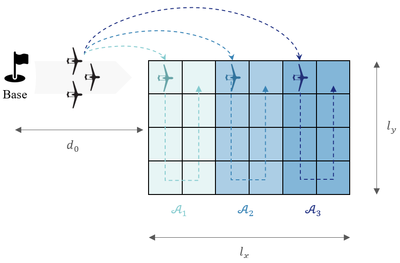 Same goes of the determination of an optimal architecture for a given mission. 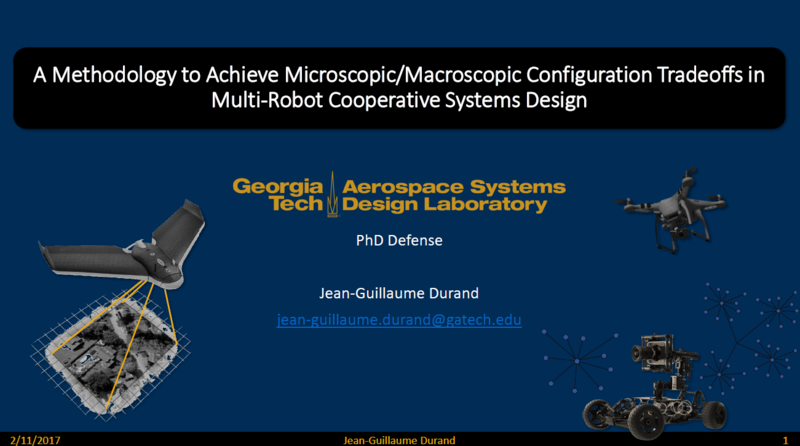 With a special emphasis on aerial vehicles, the present research proposes to establish a methodology to achieve microscopic/macroscopic configuration tradeoffs in the design of cooperative multi-robot systems. The resulting product is the MASDeM: Multi-Agent Systems Design Methodology. 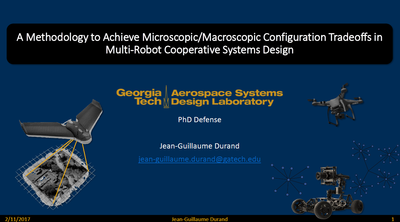 A novel multi-level multi-architecture morphological approach is first introduced to facilitate design space exploration, and a mesoscopic level simulation-based design method is used to bridge the gap between microscopic and macroscopic levels. 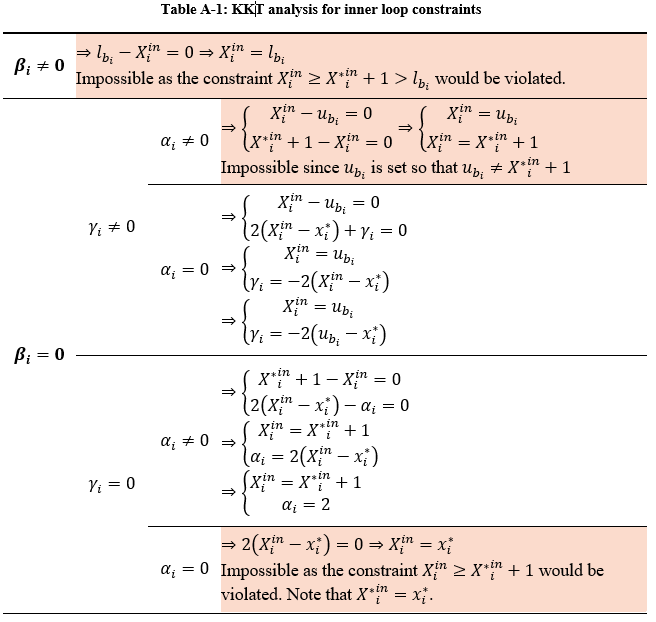 Using these first blocks, an innovative optimization technique is suggested based on two interconnected loops which differs from the classical sequential approach presently used by the research community. 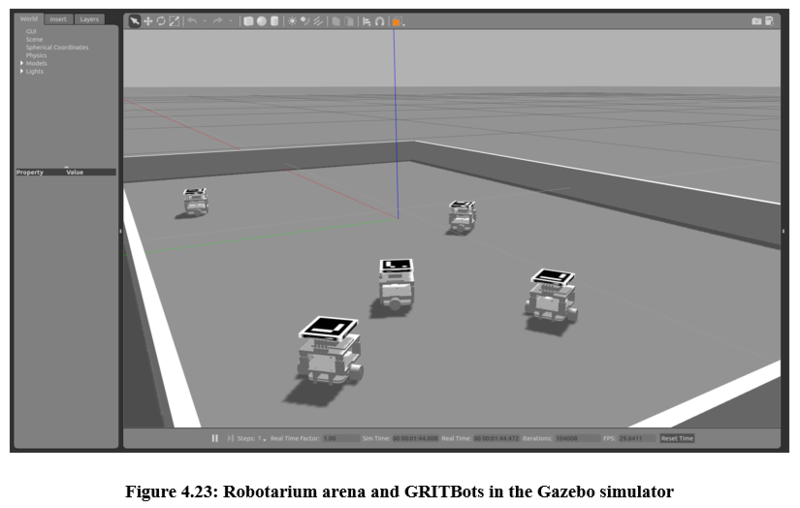 Results of this research show that simultaneous optimization can have clear benefits if applied to the design of multi-robot systems and on particular cases, average improvements of 16 percent were observed on the main performance metric. 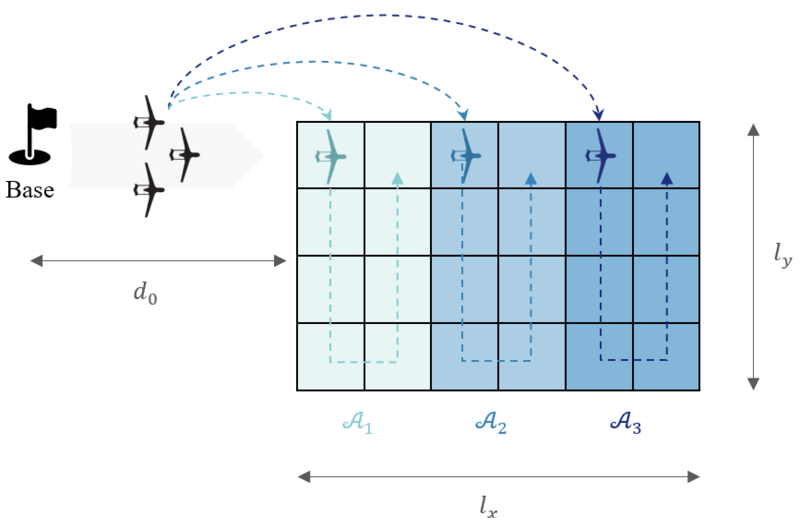 The proposed optimizer proves to be a key enabler for fully heterogeneous swarms, a capability which is not possible in the current paradigm. 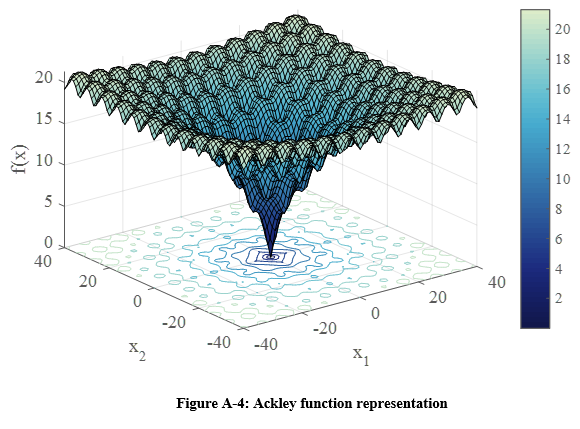 Moreover, the optimization algorithm was efficiently designed and exhibits a speedup of at least 50 percent when compared to current techniques. Finally, the exploration of the design space is effectively carried out with a combination of morphological reduction, morphological tree representation, and mesoscopic modeling. 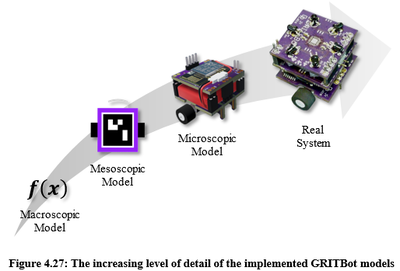 Indeed, applied to multi-robot systems, such models prove being several times faster than usual simulation approaches while remaining in the same range of accuracy.